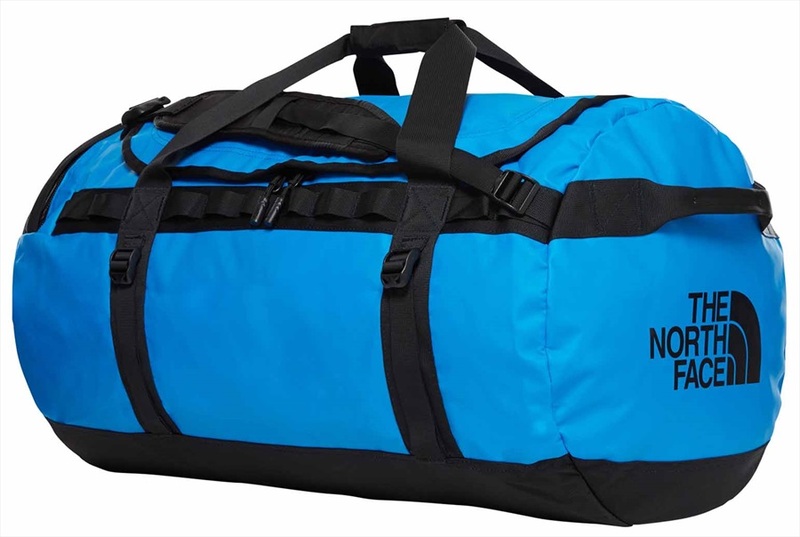 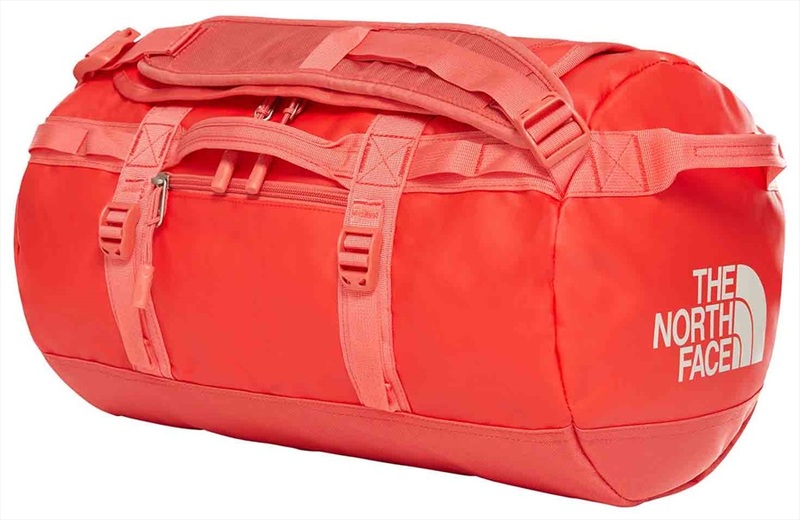 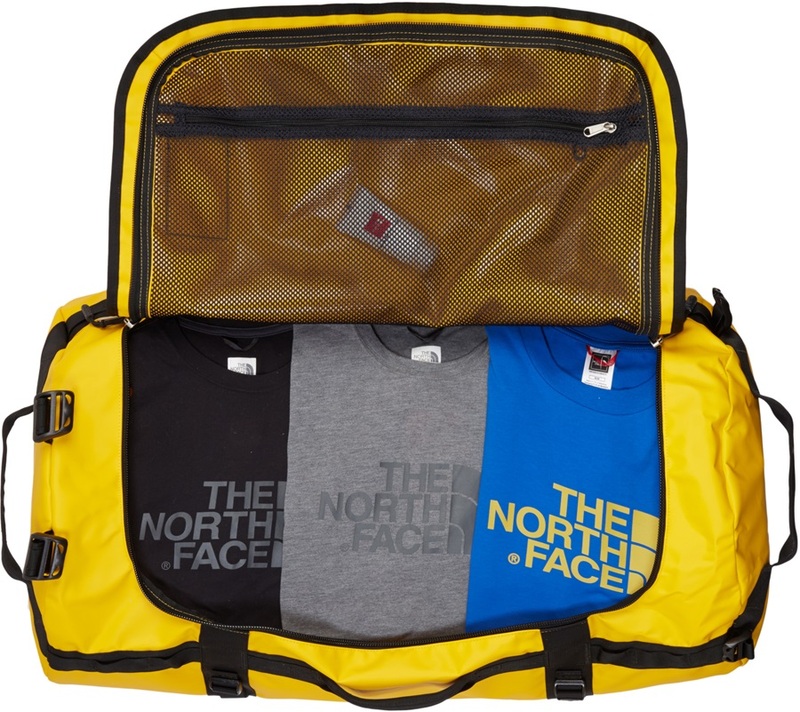 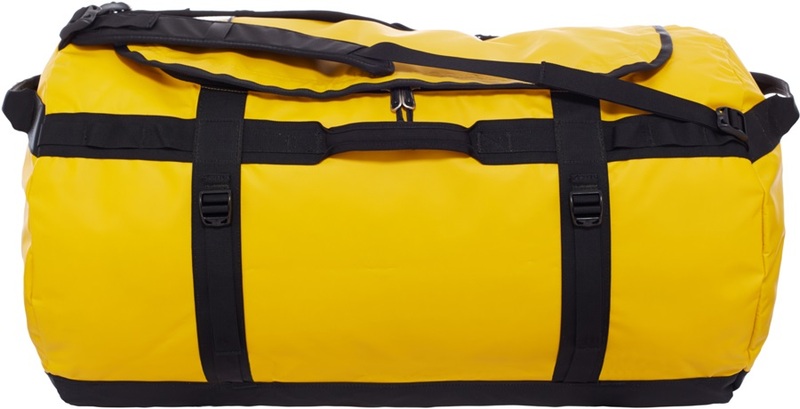 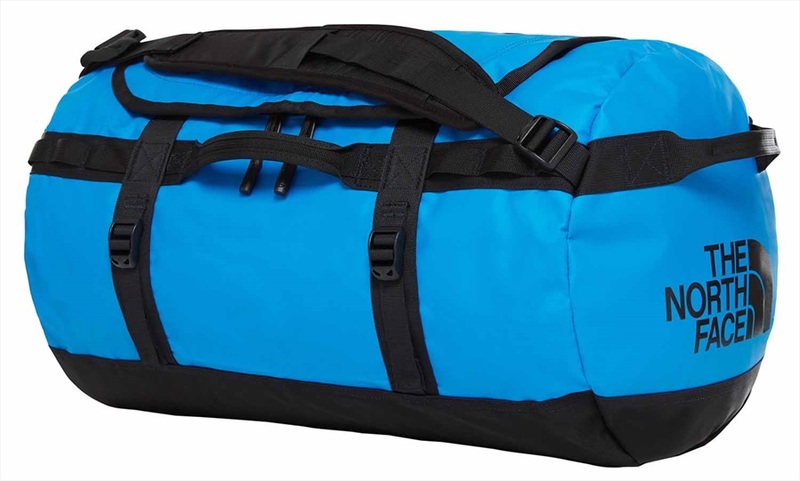 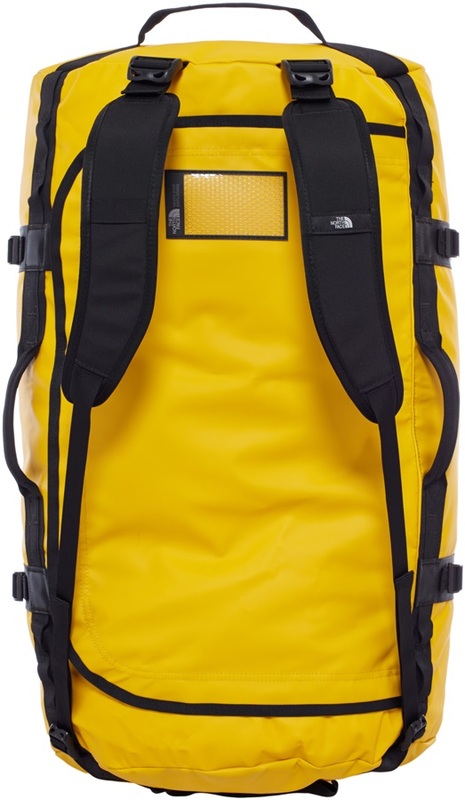 The Base Camp Duffel from The North Face is known for versatility with an array of features to ensure a durable, spacious travel bag for long distance hauls. 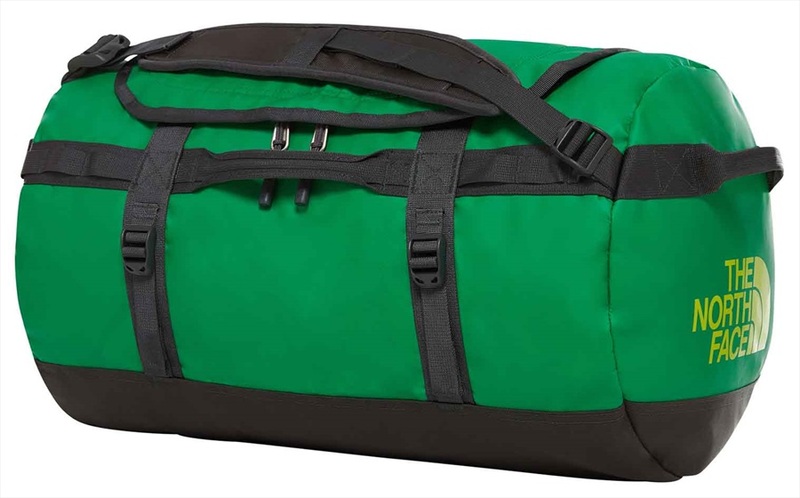 Updated with an ergonomic silhouette, the bag's detachable, adjustable alpine-cut shoulder straps and padded haul handles provide necessary comfort and convenience when shifting from luggage rack, conveyor belt or car boot. 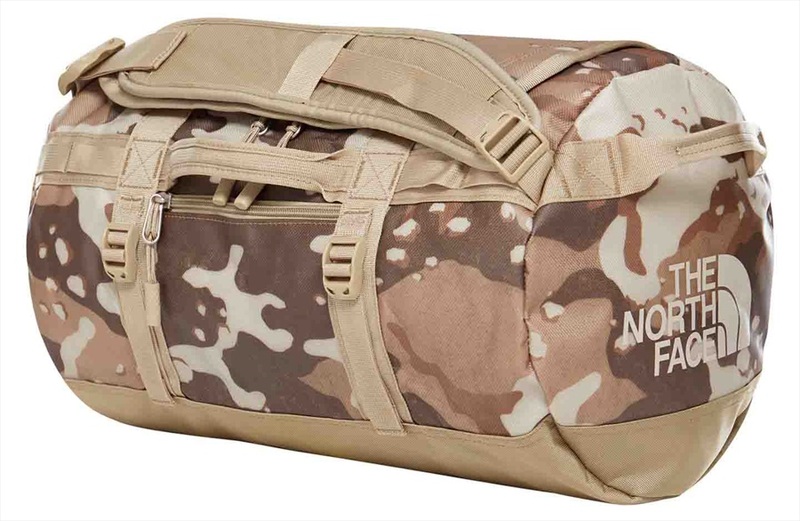 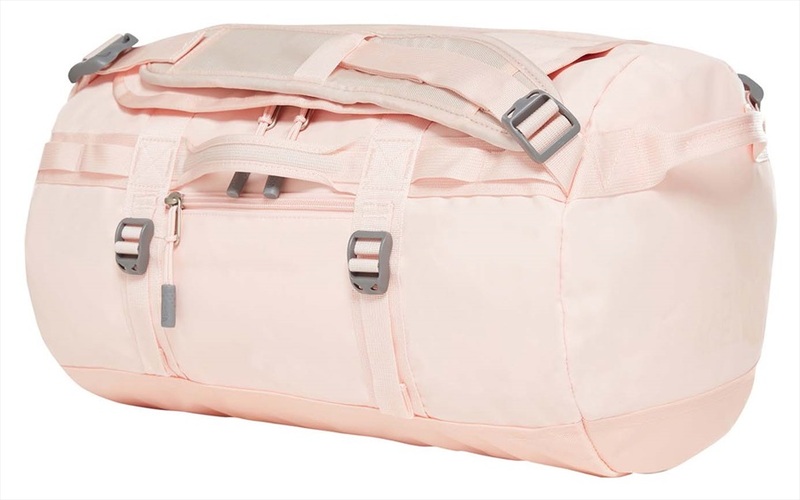 Offering intuitive organisation from interior to exterior, the Base Camp Duffel features several zip and mesh pockets. 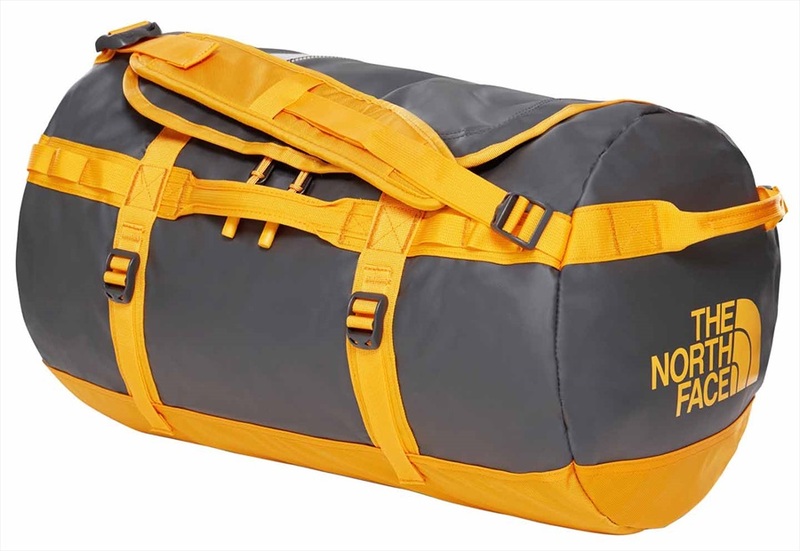 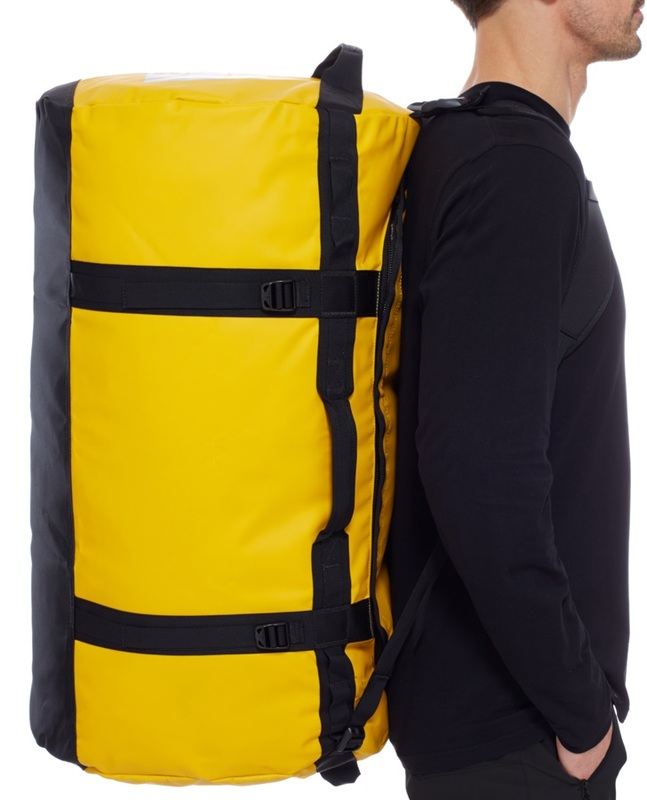 Its D-zip opening allows quick, easy access whilst lockable zips ensure safely secured belongings, reinforced with compression straps for minimum bulk. 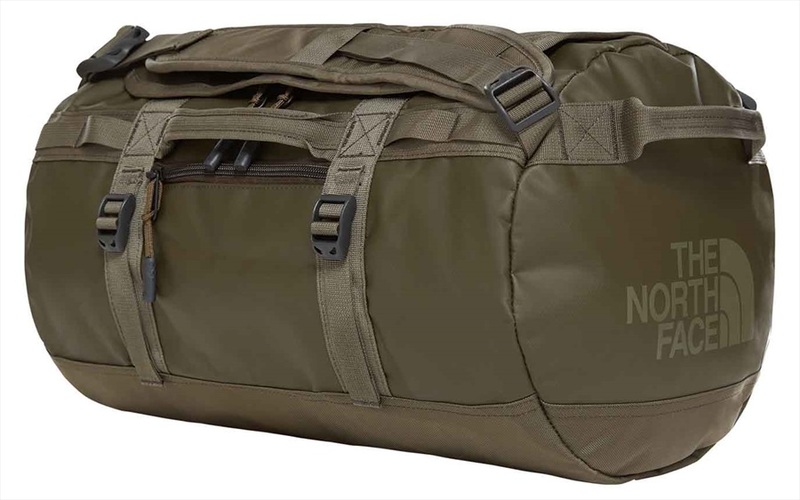 Without sacrificing volume, an all-new end-cap compartment enables the separation of wet/dirty clothes, shoes or a food stash. 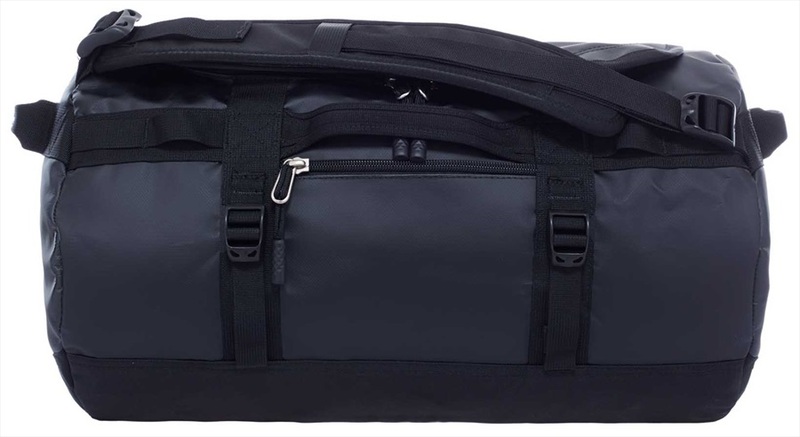 Constructed from a resilient laminate ballistic nylon, the bag is essentially water-resistant whilst durability is enhanced with double stitching to withstand any harsh weather or rough baggage handling.